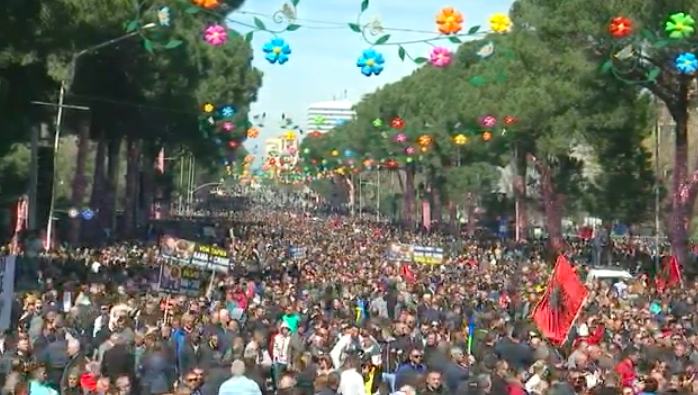 Tens of thousands of Albanians protested against government corruption in Tirana today. 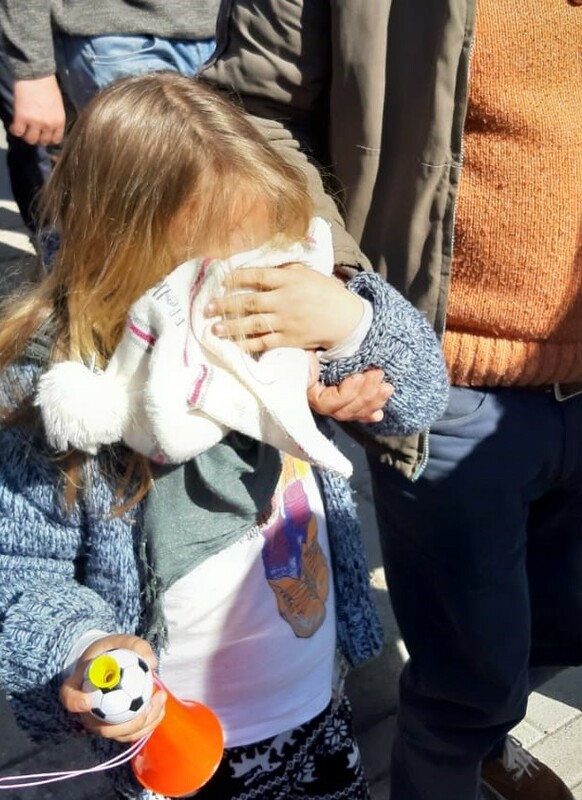 The fifth protest in a month, citizens and opposition political parties are calling for free and fair elections and the resignation of Prime Minister Edi Rama following allegations of links to organised crime and the buying of votes in the 2017 general election. Protestors assembled peacefully at two locations- in front of the Office of the Prime Minister, and by parliament. 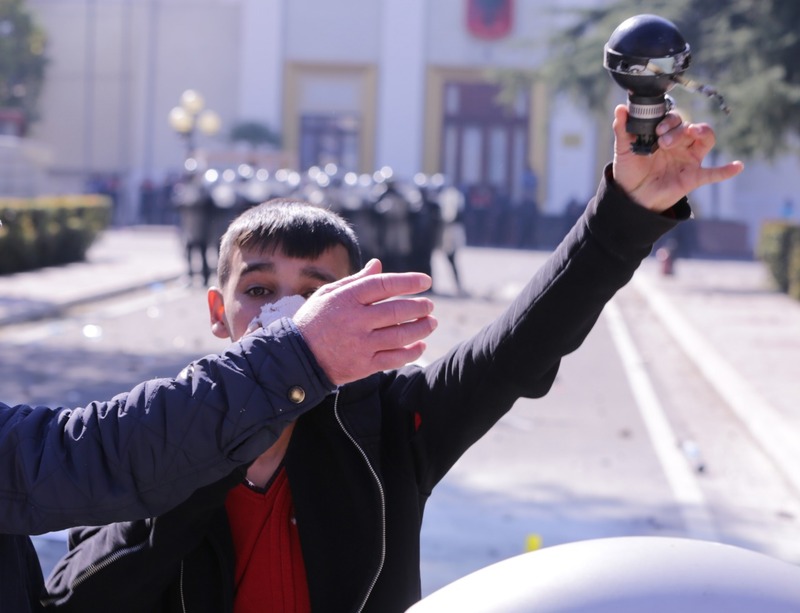 Protests were reported as peaceful, except for some minor pushing and scuffles in the vicinity of the country’s parliament. 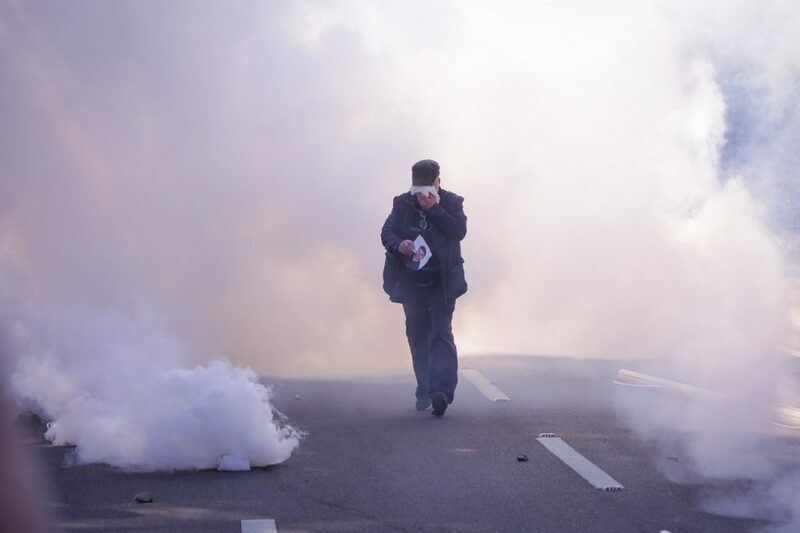 Police reacted to this through what has been described as an “excessive” use of tear gas, with witnesses saying that authorities used more today than on previous occasions despite no credible threat or use of violence or vandalism. Tear gas which is categorised as a chemical weapon, is banned in international war zones but yet is still used regularly on citizens. French Prime Minister, Emmanuel Macron was even called “desperate” to resorting to its use during the yellow vest riots that have taken place in Paris over the last 18 weeks. It was used again today on the Champs Elysee as protestors set fire to a bank, smashed shop windows, and looted and rioted through the area. 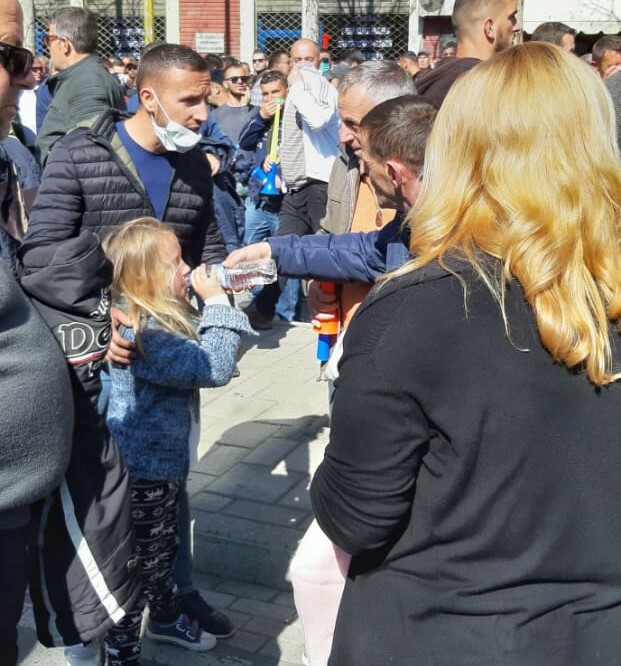 Meanwhile in Tirana, women, children, and the elderly were treated for gas-related injuries for just assembling in the city centre. The use of chemical weapons to subdue crowds is widely criticised and other methods such as crowd control and water cannons are preferred tactics before the ‘last resort’. None of these tactics were used today before tear gas was fired indiscriminately, irresponsibly, and directly into the crowd, injuring countless civilians and bystanders. Side effects of the gas include respiratory problems and pain, skin irritation, bleeding and blindness. 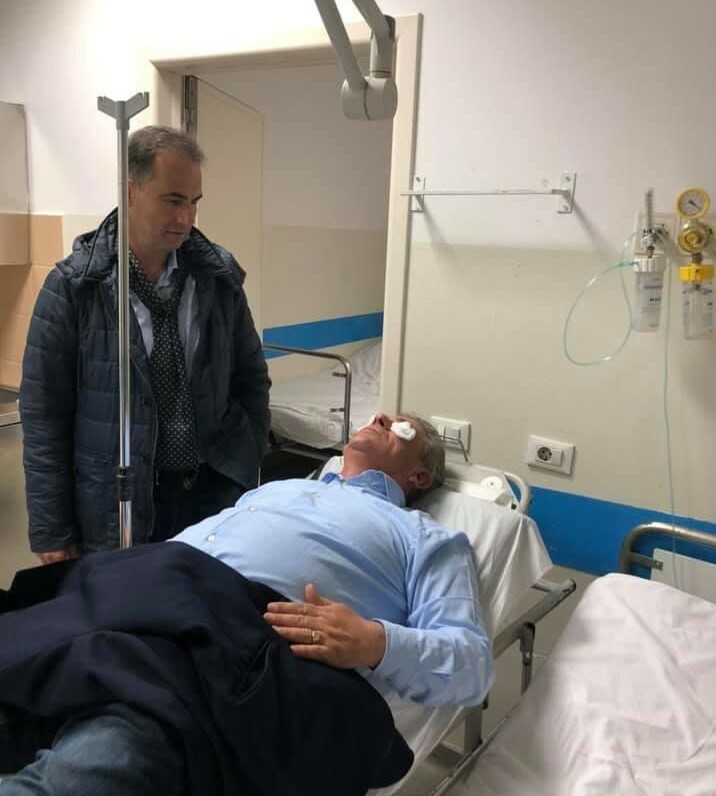 It is considered to carry a risk of “permanent injury or death” caused by side effects of the gas or injuries sustained from the cannisters themselves. Those with pre-existing health issues such as asthma are at an even higher risk. Anyone who came into contact with gas today is advised to wash their clothing, shower and wash thoroughly, and to seek medical advice if any adverse side effects are observed. 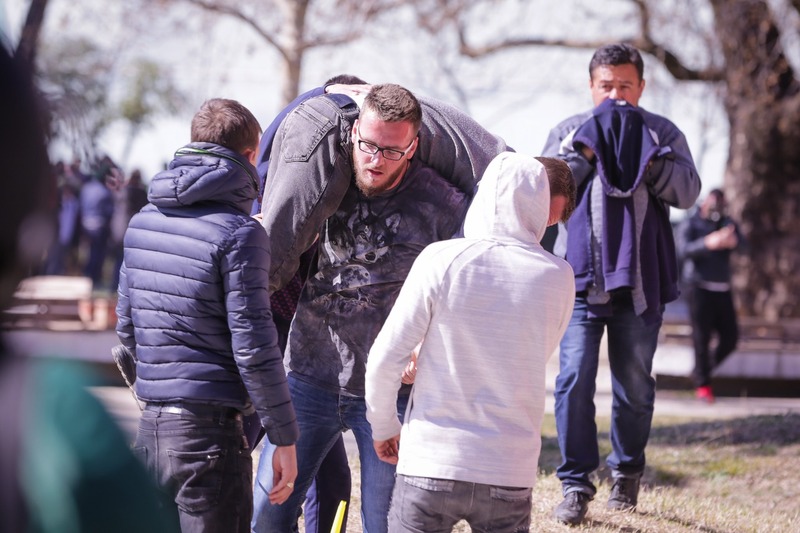 In response to today’s protest- believed to be the largest so far, Mayor of Tirana called the protestors “primitive bullies” and declared that they were not real citizens. Dear God, that mayor is the real bully, he certainly is not peaceful as the crowd of people are, he reminds me of the Nazi Brownshirts who tormented the populace. So it is OK to use tear gas on men? Why are men considered to be a subspecies? 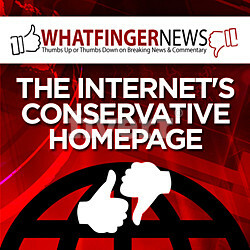 You can thank George Soros for all this. He has been advising the Albanian government for a few years now.